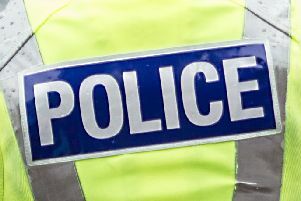 Police are hunting for a man in his late teens who viciously targeted a 16-year-old girl who was meeting a gang of friends in Eastfield Cemetery. One male who arrived on the scene became aggressive around 10.30pm. When his violent advances were rebuffed by the group, he then turned his attentions on a 16-year-old girl who was spat at and punched on the head. The girl suffered bruising to her face and was taken to hospital as a precaution. Officers say that a named individual is being investigated but want more young witnesses to contact them on 101.